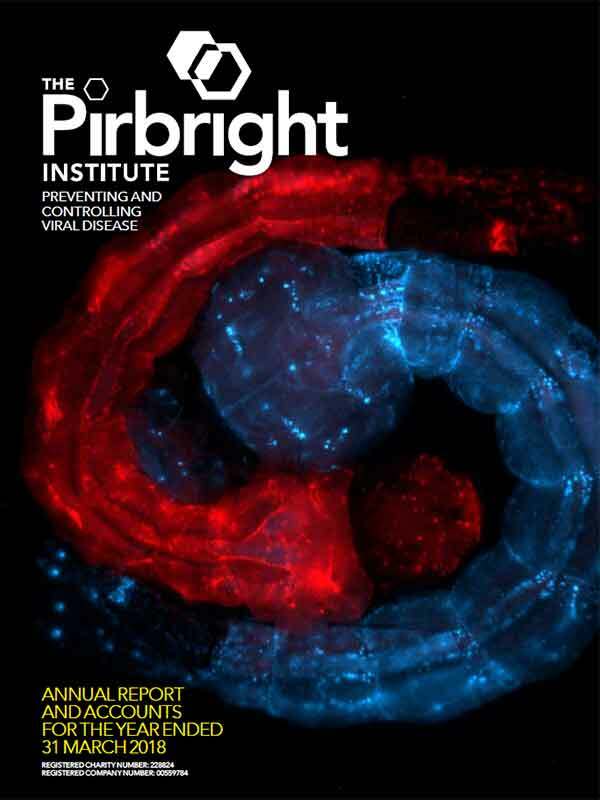 Pirbright has seen immense change and exceptional scientific achievement in recent years, bringing major breakthroughs in our understanding of virus and host interaction. Many have been achieved through the use of cutting-edge genetic technology and complex bio-mathematical modelling to build on our expert knowledge of the immune systems of livestock to contain, control and combat diseases for global economic and food security. Pirbright science is now located on a single campus and includes state-of-the-art high and low containment laboratories and large and small animal facilities, a unique resource that enables us to use our world-leading expertise to study viruses in their natural hosts. We attract global research talent and our scientific excellence continues to be recognised through prestigious awards and accolades on an international stage. Several of our project leaders have secured prestigious funding awards from the Biotechnology and Biological Sciences Research Council (BBSRC), Medical Research Council (MRC), Wellcome Trust, Bill and Melinda Gates Foundation, Defra, Royal Society and EU. This reflects the high esteem in which Pirbright research is held globally. Seventy percent of these awards are collaborations, we partner with 235 different organisations in 45 countries. We fully expect to increase the number of funded international partnerships in the coming years. Pirbright is the national facility that protects the country from diseases that would stop international trade in livestock and livestock products, which would have major financial consequences for the UK. We therefore sit at the heart of the UK Animal and Plant Health strategy, acting as a node for coordination and collaboration. The Institute’s new facilities and long-standing expertise provide a unique national capability, protecting against economically significant viral diseases affecting or threatening farmed livestock and poultry in the UK. Pirbright has an unrivalled capacity to undertake collaborative international science for the benefit of the UK and beyond. We are confident that our plans for the future will define new host-pathogen interactions at different scales; the cell, whole organism and host populations. The range of viruses we study is under constant review and because of our strengths in studying the hosts we can move rapidly when new threats emerge.